Recent studies on African economic history have emphasized the structural impediments to African growth, such as adverse geographical conditions and extractive colonial institutions. The evidence is mainly drawn from cross-country regressions on late 20th century income levels, assuming persistent effects of historical causes over time. But to which extent has African poverty been a persistent phenomenon? Our study sheds light on this question by providing new evidence on long-term African growth-trajectories. We show that slave trade regressions are not robust for pre-1970s GDP per capita levels, or for pre-1973 and post-1995 growth rates. We calculate urban unskilled real wages of African workers in nine British African countries 1880-1965, adopting Allen’s (2009) subsistence basket methodology. We find that real wages were above subsistence level, rose significantly over time and were, in major parts of British Africa, considerably higher than real wages in Asian cities up to, at least the 1930s. We explain the intra-African variation in real wage levels by varying colonial institutions concerning land alienation, taxation and immigration. ….slave export intensity is highly and significantly (at the 1% level) correlated to GDP per capita in 2000, but not to income levels in 1950 or 1960. In 1970 the effect is significant at the 10% level, but the coefficient is much smaller than in 2000. Column 4 to 6 shows the regression on growth rates including initial GDP per capita (ln). A regression of slave exports on per capita GDP growth is only statistically significant for the period 1973-1995, which explains why the regression on GDP per capita in 2000 is so robust. However, for the periods 1950- 1973 or 1995-2008 the correlation is insignificant and after 1995 the coefficient turns positive. Hence, the claim that Africa’s slave trades affect current economic performance is multi-interpretable. That is Northwestern’s Marlous van Waijenberg and Utrecht’s Ewout Frankema in an interesting paper on the issue of structural impediments to economic growth in Africa. The welfare ratios of urban unskilled workers in pre-modern London and Amsterdam were obviously higher than in late nineteenth century British Africa. However, the average annual growth rates in Accra between 1880 and 1965 (1.17%) were comparable to the average growth rates in London (1.14%, 1840-1900). Welfare growth rates in some other countries were even higher, although it has to be said that these growth rates were affected by very low starting points. In Mauritius we observed the highest long-term growth rate (1.58%), which suggests that the Mauritian ‘Miracle’ is not just a post-colonial phenomenon.31 In sum, we find little evidence that suggests that four generations of African urban wage workers in the colonial period were trapped into persistent poverty. Welfare improvements were certainly not confined to very specific regions in British Africa or brief periods of time (such as 1945-1960). In fact, the whole idea that Africa has been the poorest and most slowly growing region since the Industrial Revolution is based on a backward extrapolation of post-1960 growth experiences without a historical empirical foundation. The paper is not about the Nunn thesis per se, but investigates more generally whether historical moments (like the slave trade period) produced structural impediments that have made Africa perennially the slowest growing region of the world (hence the need for explaining the “Africa” dummy in popular research and thought). I wish development economists read more history, especially economic history. 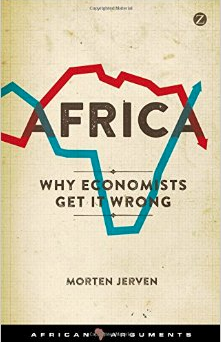 In his latest book, Africa: Why Economists Get it Wrong, Morten Jerven argues that this is a misguided approach. Instead of explaining African exceptionalism (why is Africa poorer than the rest of the world? ), Jerven argues that scholarly inquiry ought to focus on explaining fluctuations in African growth, and intra-Africa variation in general economic performance. Jerven persuasively argues that explaining African poverty and trying to find ways to fix it have distracted researchers and policymakers alike from the more useful endeavor of understanding how economic growth (and decline) happens in Africa. The former approach accepts as a stylized fact the lack of meaningful growth in Africa’s economic history; while the latter more realistic approach acknowledges that African economic history has been characterized by periods of both growth and decline. Jerven is an economic historian, and it shows (see also here). He begins by reminding readers that African economic history did not begin in 1960, the time around which aggregate national economic data became available for a large number of African countries. Jerven then shows that economic growth in Africa has been cyclical, characterized by periods of both growth and decline. At the same time, periods of growth in Africa have not necessarily coincided with the implementation of “good” policies as the literature suggests. The “lost decades” of the late 70s and much of the 80s (due to oil and commodity shocks and associated debt problems) were a period of decline that also coincided with the “good” policies implemented under structural adjustment programs (SAPs). Without getting into the details of the specific policies in question, Jerven makes the point that African states’ experiences in the 70s and 80s are not representative of the full history of economic growth and development in the region. 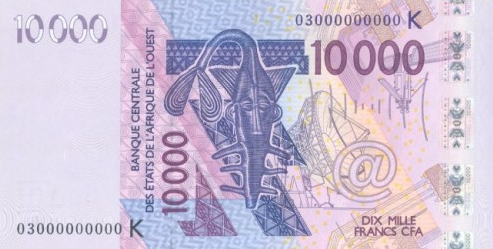 Yet, according to Jerven, it is the growth record from these two decades that has become accepted as the “stylized fact” of Africa’s growth experience. The idea of an African growth tragedy has been so sticky that most economists (with a few exceptions) did not notice the uptick in growth in the region over the last decade and a half. A quick survey of syllabuses on African political economy will reveal this fact. “Why is Africa poor?” is a question common on course descriptions in many American political science and economics departments, giving the impression that the region has always had a growth deficit to be explained. Second, Jerven takes on the quality of data that have historically been used to study African economies (remember Poor Numbers?). In this part of the book he pokes holes through major papers in the economic growth literature. The data he looks at range from widely used stats on African economies from sources like the Bank, the IMF, country statistical departments, and other academic sources. He also questions the validity of outcome variables (such as institutional quality, property rights protection, et cetera) that are often found on the left hand side in cross-national growth regressions. Jerven does not seek to provide a review of the development economics literature. Instead, his focus is on the substantive implications of statistical models widely employed by economists to explain relative growth between different regions of the world. In doing so he challenges social scientists to think more careful about issues of measurement and the substantive meanings of regional dummies. Jerven’s critique of what he calls the “Wikipedia With Regressions” style of academic research is welcome, and hopefully will inspire more students of economics and politics (not just in Africa) to invest in acquiring useful knowledge on the specific countries they study. The basic point here is that the cocksure certainty of findings in scholarly studies on the determinants of growth is unwarranted, given the shaky (data) foundations on which many of them stand. Jerven drives the point home by citing Durlauf, Johnson, and Temple who in their review of the growth literature found 145 different regressors that were found to be statistically significant determinants of economic growth. Lastly, Jerven takes head on the claim that institutions and good governance cause economic growth. His core argument in this section is that “good” institutions are typically the result of, rather than the cause of economic growth. He gives examples of countries that have experienced sustained economic growth without having the typical bundle of institutions that scholars attribute to be the fundamental cause of long-run growth. I am partially persuaded by this argument, especially after having read Working With the Grain (see review here). This latter section is the least strong part of the book, and may be the result of trying to do too much in one short text. As a student of institutions I am keenly aware of the importance of elite political stability and institutions that lock in intra-elite commitments for sustainable economic growth. It is not enough to claim that the view that institutions cause growth is misguided because some economies elsewhere have achieved growth without the hypothesized good institutions. I would argue, for instance, that a key difference between the “Asian Tigers” and their African counterparts (some of which we are often reminded were relatively richer in 1960) was the level of stateness (i.e. institutionalization of centralized rule) on account of a much longer experience with statehood. Jerven would have helped his argument by providing alternative explanations for Africa’s economic collapse in the late 1970s and much of the 1980s. What kinds of institutions matter in “late” economic development? Why did African states almost uniformly fail to contain the oil and commodity shocks and the resultant debt problems that visited them during this period? Has there been institutional variation within Africa over time, and can it explain intra-Africa variation in growth? Overall, Africa: Why Economists Get it Wrong is a fantastic quick read for anyone (whether in the academy or not) interested in understanding economic growth in Africa. Besides being a brilliant economic historian, Jerven is also an engaging writer with an ability to make even the most technical arguments accessible to the reader. I did not have the book on my original summer reading list but couldn’t stop once I started reading it. In my view this book is the economics companion to Thandika Mkandawire’s excellent critique of scholarship on African politics. It also raises several very interesting questions that will inspire or reinforce a few dissertations in the field of development economics. Below is a list of books I am currently reading and that I think most development economists (and anyone interested in development) would benefit from reading. The reading list is America-centric and provides a mix of economic history and the history of governance in the US. Let’s make this a year in which development economists and practitioners read more economic history. The Tycoons: Charles Morris’ book outlines American economic history from the perspective of four of the country’s most celebrated businessmen: Jay Gould, John D. Rockefeller, Andrew Carnegie and J. P. Morgan. You think corruption is bad for development? Can industrial policy help poor countries overcome the poverty trap? And how exactly do countries become rich? These are some of the questions that are implicitly addressed in this rather easy to read book. FDR by Jean Edward Smith: If America ever had a developmental president, it was FDR. His big push to help regular folk with the New Deal and other government programs took water and electricity to many corners of America that had previously been forgotten by mainstream politics. The story of American development is a caution agains the prevailing fascination in the development community with small-scale pro-poor initiatives that largely sidestep the state. Development is political (because it creates relative distributional winners and losers) and those who ignore this fact will always fail. The Search For Order, 1877-1920: Want to know more about how America became modern? This book provides a glimpse of the period in American history between the era when robber barons ran the show and when formal institutional arrangements became commonplace in business and government alike. The book provides an excellent account of the dynamics of institutional development both in the public and private sectors. The Evolution of American Legislatures: Want to know how US State Legislatures have evolved from the colonial times to the present? The you must read Squire’s book. I loved reading this book [yes, because I study African legislatures myself] precisely because it gives a detailed account of the very undemocratic origins of the democratic institution of the legislature(s) that we associate with modern United States. The book is a caution to institutionalists who peddle the false idea that good institutions are born good and stable. The lesson from American history is that it is all about how checks are enforced, and that sometimes to guarantee enforcement you might need to limit political participation and choice. Abraham Lincoln by Lord Charnwood: I now live in the land of Lincoln and so this was a must read for me. The big development lesson from this book is that civil wars are complex and that sometimes nations ought to be left to recover autonomously. Just imagine how the history of the US would have played out if the UN already existed (and at the time dominated by the UK, France, and Germany) and had sent in peacekeepers right after the Confederates seceded…. The book is also a nod to the Great Man theory by showing us how Lincoln’s personal life and conviction played a big role in determining the course of US history. 1913 The Eve of War: This is a random addition to the list, I know. But I added it to remind readers that things can always go wrong in the international system, with grave consequences for the entire global community. The book is also a good lesson on how Great Powers can sometimes be forced into conflict even when they would prefer not to fight. The Great Escape: I know I am late to the game on this one but Angus Deaton’s book (which got glowing reviews in the Fall) is a great account of the public health advances of the of the last century in both the developed and developing worlds. The book also reminds us that economic inequality is not always a bad thing, as long as everyone’s living condition is improving – which he says has been the case for much of the last century. Also, Deaton reminds us that aid is not the panacea to underdeveloped and that it might actually lead to more harm than good. But the solution he runs to – good governance – is equally problematic. 21st century good governance means zero tolerance on corruption, crony capitalism, and state capture by the business elite. Yet if you read the books above, you realize that because of the political risks involved in poor (or less institutionalized) countries, sometimes the habits associated with bad governance are the only means available for incentivizing investment. The point here is not that we should neglect the fight against bad governance, just that “Governance” shouldn’t be the only consideration when thinking of factors that retard economic growth. Just imagine how the Transparency International report on corruption in the US circa 1920 would have read like. The quote reminded me of the thoughts I have whenever I buy Nescafe in Kenyan supermarkets or read about Nigeria importing refined petroleum products.